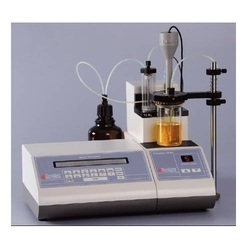 Our Product range for Pharma & Biotech equipment is Karl Fischer Titration Apparatus, Melting/Boiling Point Apparatus, Tablet Disintegration Test Apparatus, Table Dissolution Test Apparatus, Friability Test Apparatus, Bulk Density Apparatus, Kjeldahl Distillation apparatus, Soxhlet Extraction Unit and Ultrasonic Cleaner. An instrument is equipped with the single stepper motor. 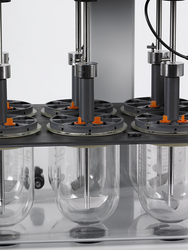 Five programmable Tests are provided to Store DT time and Temperature. Digital indicator for temperature with optically isolated electronic heater driver with the water bath. The Instrument is also equipped with double channels Temperature system to ensure precise temperature control of the Tank and Beakers. Illuminator for clear observations Of Disintegration process has been provided. Soft membrane keypad and splash proof panel. A four line informative LCD display is provided to observe temperature and set time at a glance. The facility provided to prevent over the shooting of temperature. Centronics Printer interface has been provided for recording parameters like Temperature, Batch No, Product ID etc. Facility for self-validation of RPM is incorporated. Automatic Parking of both Baskets after the Test is over. DT-TIME for Tablets from individual Tube Of Right and Left Basket can be monitored. 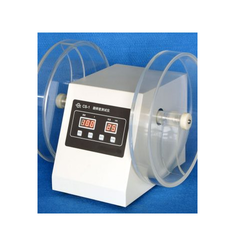 Digital Automatic Tap Density Test Apparatus is designed to hold two cylinders, The mechanism provides simultaneously rotating and tapping motion to the cylinders for packing the sample under test, evenly and uniformly. • Cleaning the glassware, Lab Instruments. • Sonochemistry i.e. degassing the solution. • Innovative Ultrasonic Sonicator Bath has the design with MOSFET /IGBT & latest Micro-controller base technology. 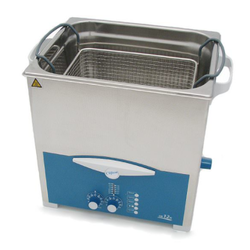 • Ultrasonic a perfect technology for cleaning and reprocessing. • Ultrasonic baths rapidly degas HPLC solvents. We offer the wide range of Digital Tablet Friability Test. This programmable advanced instrument is equipped with microprocessor-based circuitry, to program the friability test. The unit is equipped with informative two lines LCD display screen. It is also equipped with digital readout, automatic pre-set count stop, and audio signal. It is supplied with two acrylic drums. The apparatus will have 10-degree tilt facility, as required. 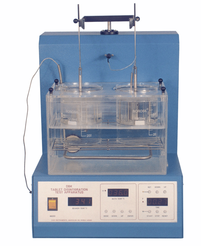 We offer wide range of Karl Fischer Titration Apparatus. It is a classic titration method in analytical chemistry that uses coulometric or volumetric titration to determine trace amounts of water in a sample. 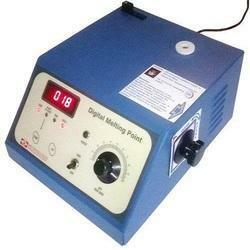 Customers can avail from us a gamut of Precision Digital Melting Point Apparatus. These are manufactured by our expert professionals who make optimum utilization of their expertise to manufacture a quality adhering range of products. We offer these products in exact compliance with the specifications detailed by the clients. 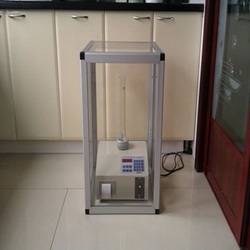 We offer the wide range of Digital Tablet Dissolution Test Apparatus. Looking for PHARMA & BIOTECH EQUIPMENTS ?